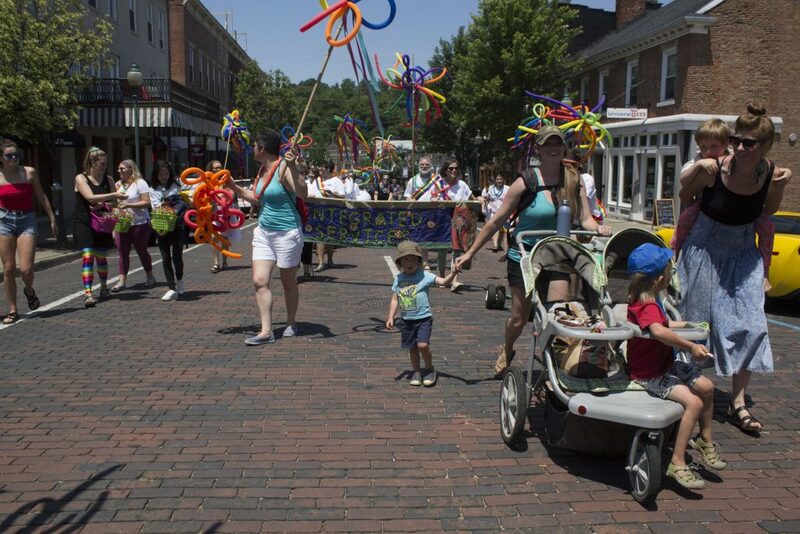 ATHENS, Ohio (WOUB) – The sounds of Lady Gaga’s “Born This Way”, brightly colored balloons and plenty of cheering heralded the first Pride parade in Athens Saturday afternoon. The parade stepped off from the Athens Middle School at 2 p.m., then marched south down Court Street to the Scripps Amphitheater on Ohio University’s campus where it concluded with a rally. 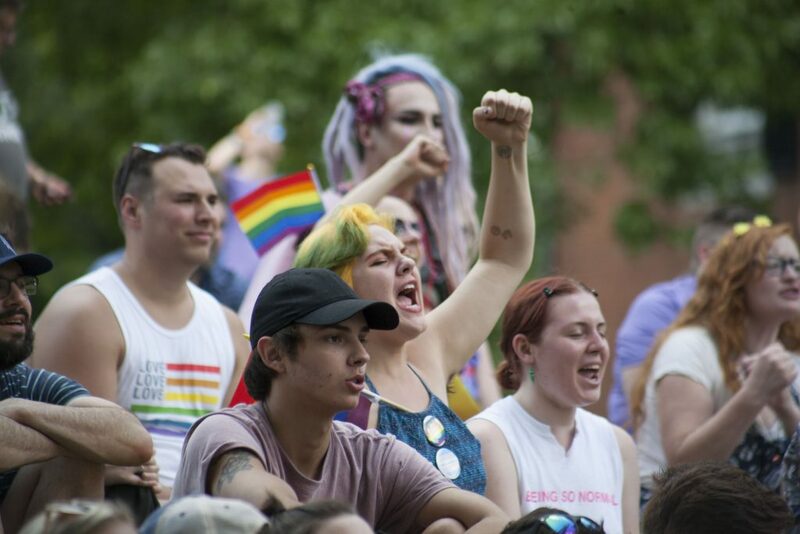 Organized through a collaborative effort between the Southeastern Ohio LGBTQ Center & Coalition and Ohio University’s LGBT Center, the parade, the culmination of a weeklong PrideFest, including local activist groups, business, and vendors followed by a rally at the Scripps Amphitheater. Lead by Director of the OU LGBT Center, delfin bautista, the rally featured many different speakers who shared anecdotes and messages of support. After the conclusion of the scheduled speakers, the microphone was opened to anyone in the crowd who wanted to speak. A few audience members took the opportunity to come out publicly. Dr. Amy White, an executive director of the Southeastern Ohio LGBTQ Center & Coalition was proud to have curated an environment in which individuals felt safe to express themselves. While the atmosphere remained lighthearted overall, the afternoon festivities were interlaced with more somber moments of remembrance. The LGBTQ Community still faces discrimination, and the organizers of the rally wanted to make sure supporters left with an understanding of the challenges the LGBTQ community faces. 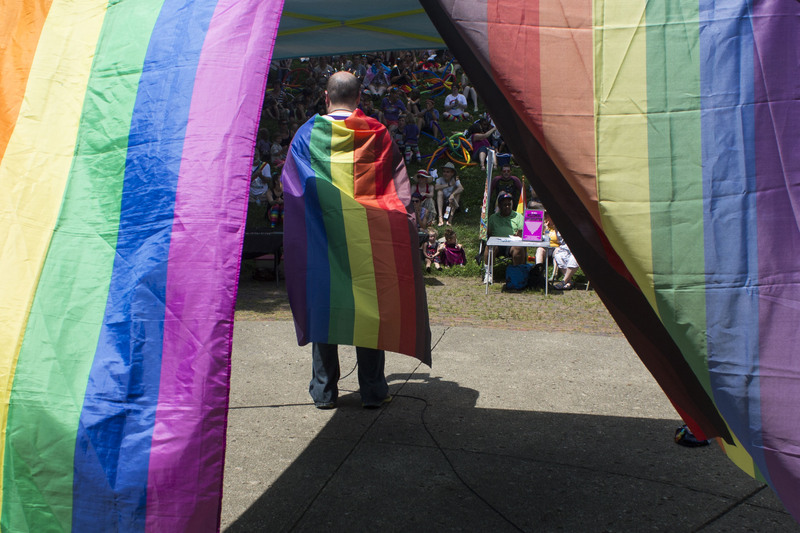 The Southeastern Ohio LGBTQ Center & Coalition is a non-profit organization serving 20 countries in Southeast Ohio, working to fight discrimination based on gender and sexual orientation. More information is available on the organization’s Facebook page or by calling their office at (740) 969-5427.